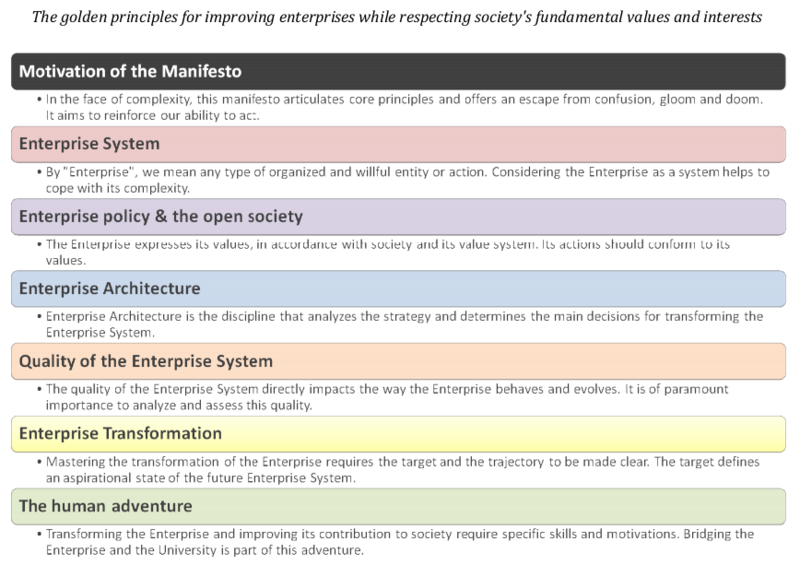 The Enterprise Transformation Manifesto summarizes the golden rules for improving enterprises, respecting the values and fundamental interests of society. It is aimed at decision-makers and offers them a summary of the main topics that prepare the enterprise of the future. This manifesto seeks to be a guide for corporate citizenship. It presents the principles that guide the enterprise transformation, in compliance with its values and the values of society. transversal functions (strategy, transformation management…) which will appreciate the repositioning of enterprise architecture. The manifesto will also be of interest to academia, called upon to favor an interdisciplinary approach, around which teaching content can be organized (see, in particular, chapter 7). The enterprise is a complex object. It cannot be approached without an analytical framework that organizes the subject matter. This is the role of the reference framework or methodological framework (conceptual framework). Thus, all the enterprise concerns, whether they be strategic or tactical, when they concern the organization, the performance or the logistics, are included in a full and rigorously structured description. In this way, every piece of information or decision is given one, and only one, place in the enterprise description Repository. We thus avoid wasting time and effort and can take advantage of the expertise of all concerned. The Enterprise System Topology identifies and articulates seven aspects which enable us to apprehend the full reality of the enterprise. Contrary to “views”, these aspects are defined independently of points of view and are isolated using the internal logic of the Enterprise System. The method links them carefully together, so as to create a harmonious transformation chain. All along this chain, information and decision elements are expressed, formalized and progressively transformed into concrete solutions. For more information: see the “Product” page on the wiki. Praxeme is an enterprise methodology. It can be applied to any organized and voluntary system: organization, information system or technical system. It covers all aspects of these systems: from the culture and values of the enterprise to its infrastructure, via knowledge, the organization and the processes. This interdisciplinary approach answers the need to link specialties together to think the enterprise as a whole and aid in its transformation. Enterprises, government agencies and other organizations evolve in an ever-changing environment; they deal with uncertainty on a daily basis. Continually alert, they have to adapt, modernize and transform themselves. Faced with the complexity of the enterprise and the uncertainty of its environment, how can we think of succeeding without a minimum of rigor and without some serious thought? 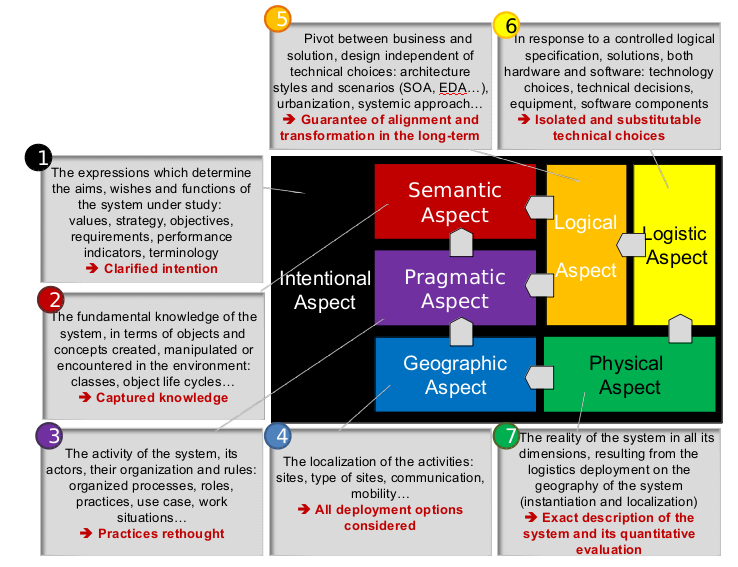 Praxeme provides an analytical framework of the enterprise, in all its dimensions. Its procedures and methods enable it to capture all the elements that make up the reality of the enterprise, as well as the significant elements in its environment. Acting on the enterprise presupposes that we understand and apprehend it in all its complexity. To this end, Praxeme assembles the analysis and representation techniques that are of benefit to the strategy, design and transformation. Praxeme aims to cover all the enterprise aspects, from values to infrastructure, from strategy to deployment (see the reference framework). Those who promote Praxeme think, indeed, that the main need of an enterprise is to organize the synergy between the disciplines and specialties that are not used to working together. For more information on the applications: see the wiki. the methodology, discourse on the method. The method presents itself in the shape of procedure sheets, designed to be used during clearly individualized tasks. The methodology is presented through guides which establish the fundamentals of the method and justify the measures. The methodological guides are aimed at people – method or quality engineers, enterprise architects, trainers, transformation managers… – who need to understand the overall logic and implications of the approach Praxeme provides. 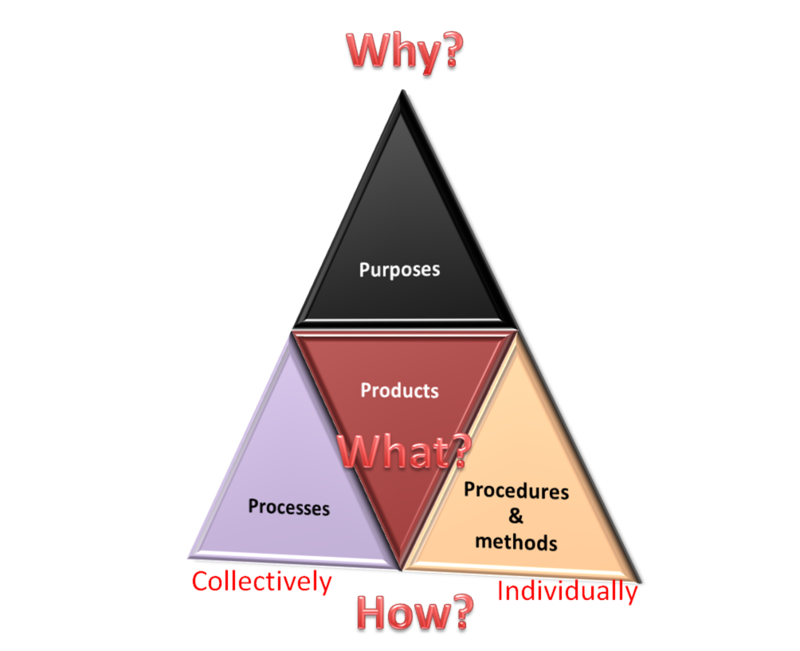 Product: What are we talking about? What is the object that we are building or transforming (the enterprise, a federation of enterprises, a socio-technical system, an application…)? Process: How can we organize ourselves? How can we work together? Procedures and methods: How can we work individually? How can we work well? 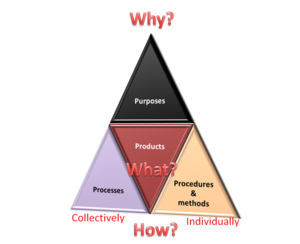 Understanding the internal logic of the Product is, in our opinion, a prerequisite to answering the “How” question. The analysis of the overall aim sits atop this structure and brings us continually back to the question of justification, the question which extends the methodology to the quality domain. For more information on the structure of the method: see the Modus (method) section on the wiki.